MOSCOW, October 25 (Itar-Tass) – Sergei Sobyanin will begin his first working week as the mayor of Moscow with an urgent issue of the city’s preparation for the winter. Inaugurated on October 21, the new head of Moscow Monday will hold a meeting with members of the previous government of Moscow, now staying in the status of acting. A sources in the mayor’s office told Itar-Tass that the meeting to attend which prefects were also invited, will be visiting and will be held in the south of the city – at the Chertanovo district heating station. 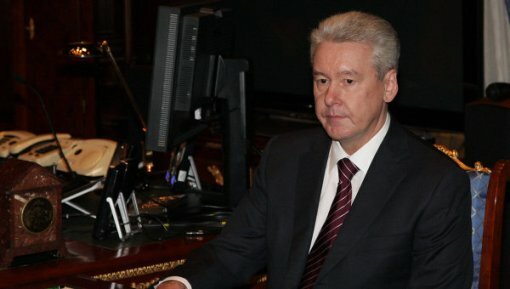 In the view of Sobyanin, at present the city “needs to concentrate efforts on several specific facilities as soon as possible.” He has inspected the supply lines in the area of the “island of skyscrapers” – a yet unfinished Moscow City business centre. 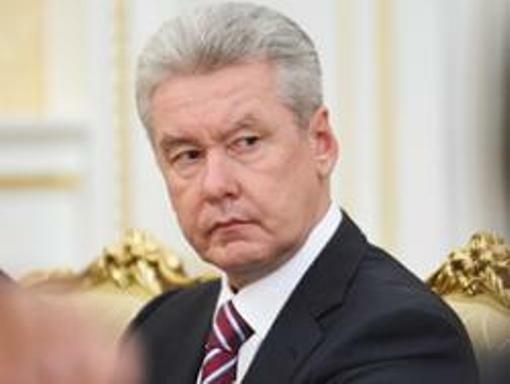 Sobyanin, who called its construction in the heart of Moscow “a mistake in the city development,” has admitted that there is no turning back now and it only remains to minimise the consequences of this mistake – especially for the efficient organisation of transport flows. In this regard, the mayor came to the conclusion on the results of Saturday’s meeting that the system of road junctions around the business centre needs considerable improvement. At a meeting of the city government on Tuesday, which will also be the first for Sobyanin, the government members will consider the issue of Moscow’s electric power supply scheme for a period up to 2020. Sobyanin has already said that the issue of energy efficiency, including in the construction sphere, is also a priority. Starting next year the new mayor intends to take up the introduction of new construction standards in which “the energy saving share should be 20 to 30 percent.” The city’s housing and public utilities are rather acute, especially regarding the creation of management companies and homeowners’ associations. Sobyanin instructed officials to work out by Monday specific measures to settle the problems with homeowners’ associations and demanded from prefects to “personally” deal with these problems, in order to relieve the city dwellers of them as early as by the middle of December. In the view of the mayor, the campaign for the creation of homeowners’ associations in Moscow has already created a situation in which not citizens, but some organisations “that are cut off from the tenants” manage their houses. Therefore, officials were instructed to control in the future the relations of homeowners’ associations with the tenants, also the tariff policy and quality of provided services. Sobyanin believes the housing and public utilities sphere in the RF capital is one of the most obscure corrupt. He has already warned the city officials about personnel reshuffles that may follow after “the first signal” about extortions in that or other departments. “Please listen to my words, in order not to regret in the future, I ask you to ensure control over your departments and institutions entrusted to you,” he told the officials. “Make sure that there are no extortions or some kind of informal payments.” “This must be ruled out either directly or through some sort of shady offices, agencies or expert bodies; decisions, also on personnel, will be made on the first signal,” the mayor said. He also gave an instruction to officials: “Keep that in mind, we can not assume that this work will be done by someone, it is you who should do this work in the first place.” “The better you do it, the better your performance will be assessed,” said Sobyanin. The Moscow ministers have already been working in the status of “acting” for nearly a month. Sobyanin so far extended these powers of the city government until a new Cabinet is formed. The new mayor also thanked the ministers for their “fruitful” work with the “acting” prefix. However, he did not rule out “rotations” in the government and suggested giving maximum authority to local self-government bodies. The Moscow City Duma last Thursday vested Sobyanin with the powers of the capital’s mayor. The candidate, proposed by the RF president, gained support from 32 legislators of the 35 having seats in city Duma (32 of the United Russia party and three from the Communist Party). Two ballots were cast against. The meeting was attended by 34 deputies. One Communist MP is away on a sick leave. Before the voting procedure the Communists said they would vote against Sobyanin. The voting was held by secret ballot. MOSCOW, October 21 (KATAKAMI / Itar-Tass) — The newly-approved mayor of Moscow, Sergei Sobyanin, has been officially sworn into office. Russian President Dmitry Medvedev is attending the inauguration ceremony held in the White Hall of the Moscow’s city administration building. 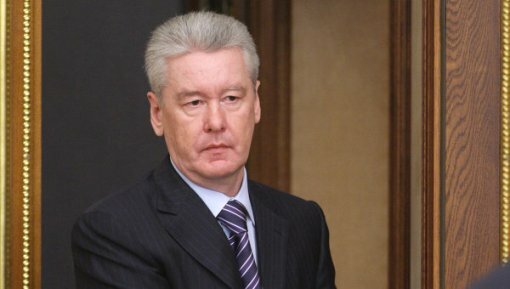 Earlier in the day, the lawmakers from the Moscow City Duma (or legislature) voted to vest Sobyanin, a presidential nominee, with the powers of the Moscow mayor. MOSCOW, October 21 (KATAKAMI / Itar-Tass) — Deputies to the Moscow Duma vested Sergei Sobyanin with the powers of Moscow mayor on Thursday. Thirty two out of 35 members of the Moscow Duma (32 from United Russia and three from the Communist Party) voted for the approval of his candidature; 34 MPs attended the meeting. Under the law, a minimum of 50 per cent of votes is needed for being approved on the post of mayor, i.e. no less than 18. The MPs voted by secret ballot. Sobyanin has been vested with the powers of Moscow mayor for a period of five years. 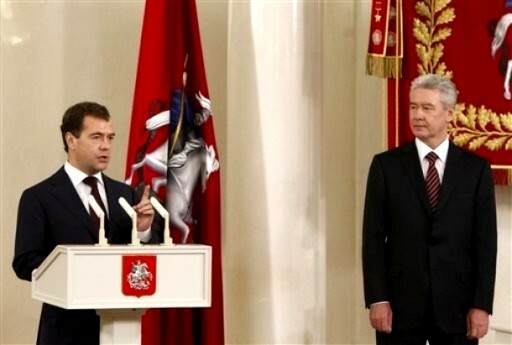 October 17, 2010 (KATAKAMI / RIA NOVOSTI) — No date has yet been set for a vote in Moscow city parliament on the nomination by President Dmitry Medvedev of Deputy Prime Minister Sergei Sobyanin as Moscow mayor, the City Duma speaker said on Sunday. Media reports earlier said the vote, which is widely expected to be little more than a rubber-stamping, would take place on Thursday. 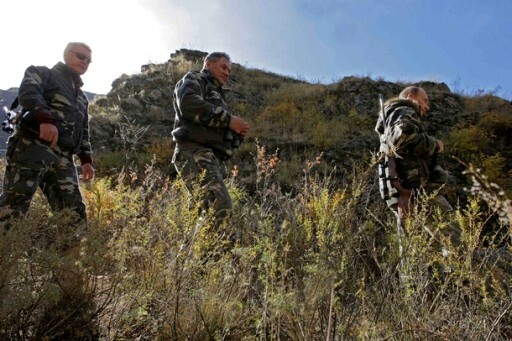 “No final decision has been taken yet on the issue,” Vladimir Platonov told RIA Novosti. 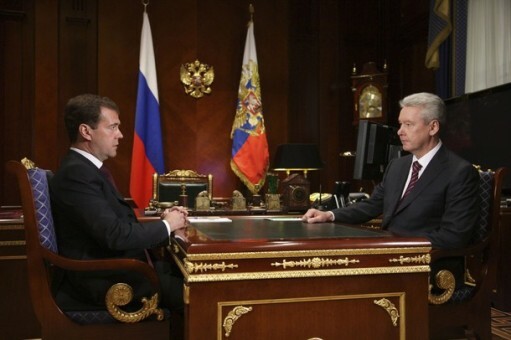 Medvedev proposed Sobyanin on Friday as the Russian capital’s new mayor. Medvedev sacked long-serving mayor Yury Luzhkov on September 28, citing a “loss of trust.” State media had previously accused him and his businesswoman wife of massive corruption. 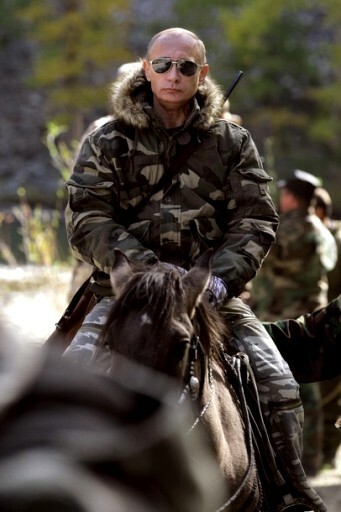 Analysts say there is little doubt that the Moscow Duma will approve 52-year-old Sobyanin, who was head of the presidential administration under first Vladimir Putin and then Medvedev from 2005-2008 and ran Medvedev’s presidential election campaign in 2008. Direct elections for Moscow mayor and governors across Russia were scrapped in 2004. October 16, 2010 (KATAKAMI/ RIA NOVOSTI) — The Moscow City Duma will discuss on Monday the date of voting on the candidacy of Deputy Prime Minister Sergei Sobyanin for the post of Moscow’s new mayor, the Duma speaker said on Saturday. 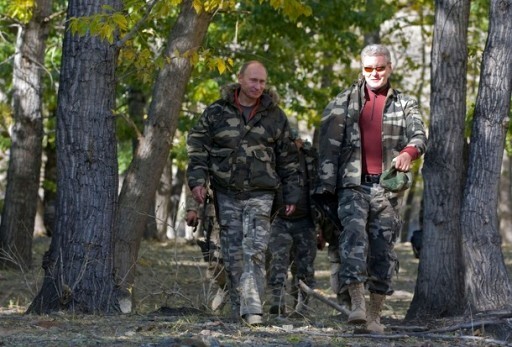 “We have received all the necessary documents [on Sobyanin’s candidacy],” Vladimir Platonov said. Russian President Dmitry Medvedev on Friday proposed Sobyanin as the Russian capital’s new mayor. Analysts say there is little doubt that the Moscow Duma will approve 52-year-old Sobyanin, who was head of the presidential administration under first Putin and then Medvedev from 2005-2008 and ran Medvedev’s presidential election campaign in 2008. GORKI, October 15 (KATAKAMI/ KREMLIN.RU) — Dmitry Medvedev announced this during a meeting with Deputy Prime Minister and Government Chief of Staff Sergei Sobyanin. According to the President, Sergei Sobyanin is an experienced manager with the necessary qualities to be the mayor of Moscow. Among the challenges the city’s new mayor will have to tackle are social issues, the fight against corruption, and transportation-related problems.